Happy Friday!!! As you all well know this is my most favorite day of the week ... and a Friday in December just makes it even more amazing!!! 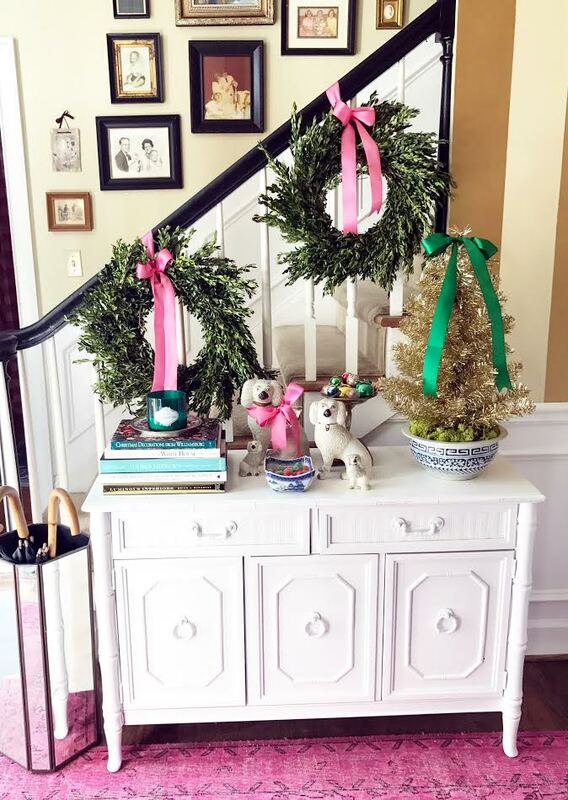 I love yesterday's post ... the first view into the Minear home all decorated for Christmas. 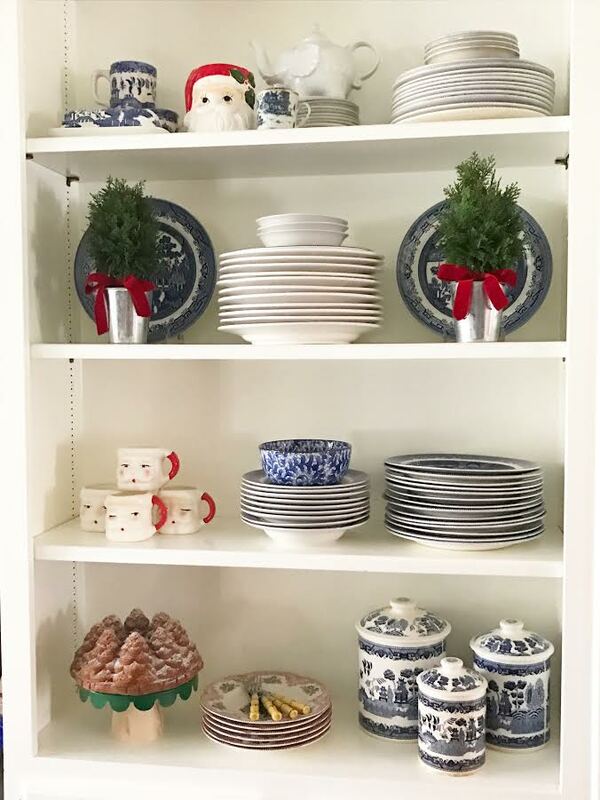 I absolutely love the home we have created and seeing it all dolled up for a holiday makes me love it even more!! 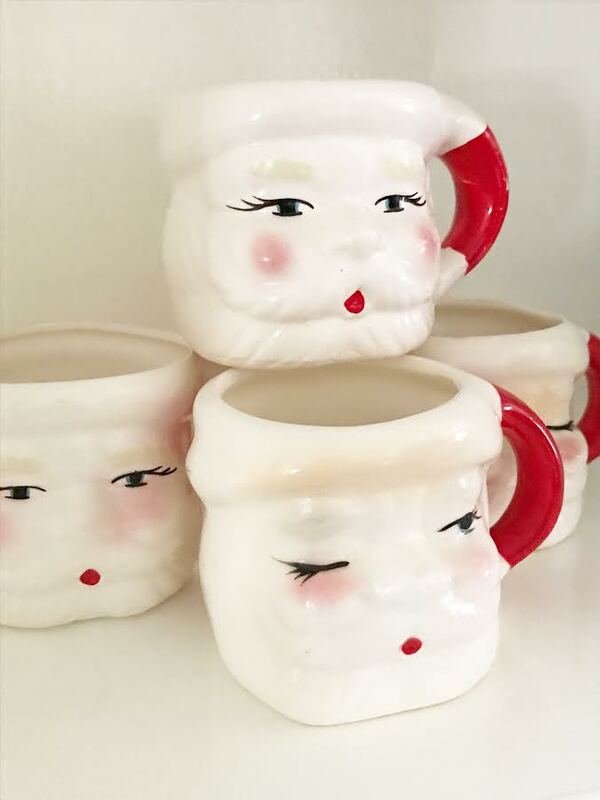 If only each of you could come over for coffee, or even better for cocktails! 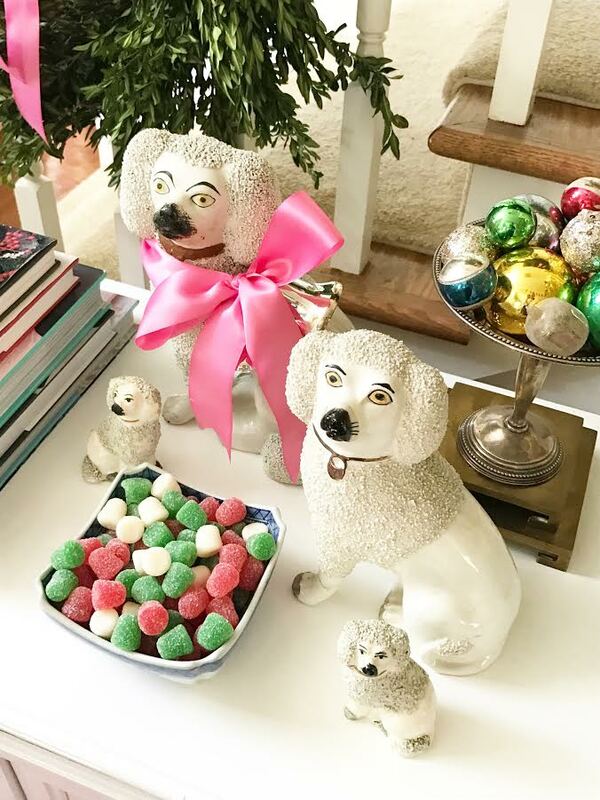 This year I used my collection of vintage ornaments, our nutcrackers, my favorite Christmas candies and a large amount of satin ribbon to transform our home for my most favorite holiday. The satin ribbon addition may be my favorite thing. 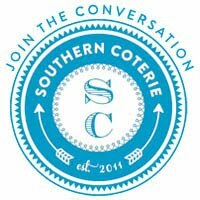 I see lots and lots of satin ribbon in my future. 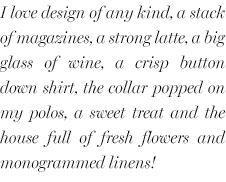 My love for grosgrain might be taking a backseat for a while. 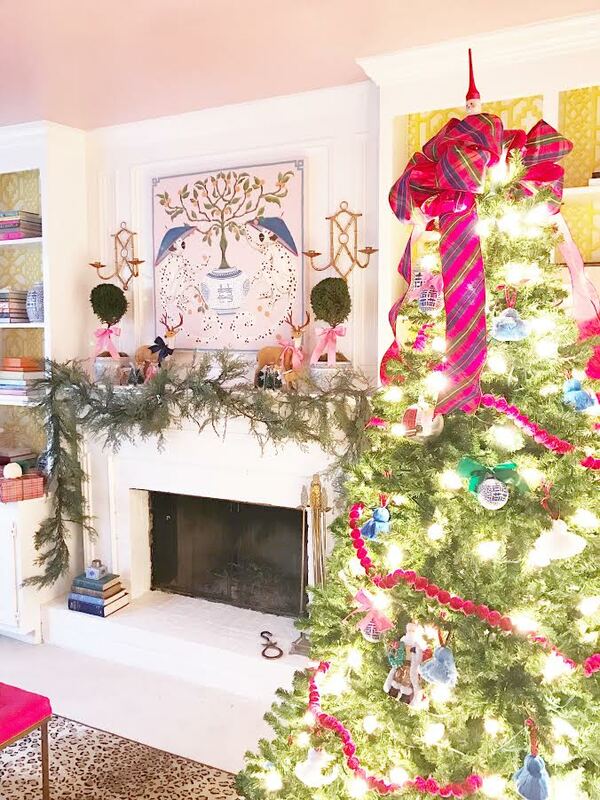 Today as part of The Pink Door Holiday Tour I have more of our home to share with you! 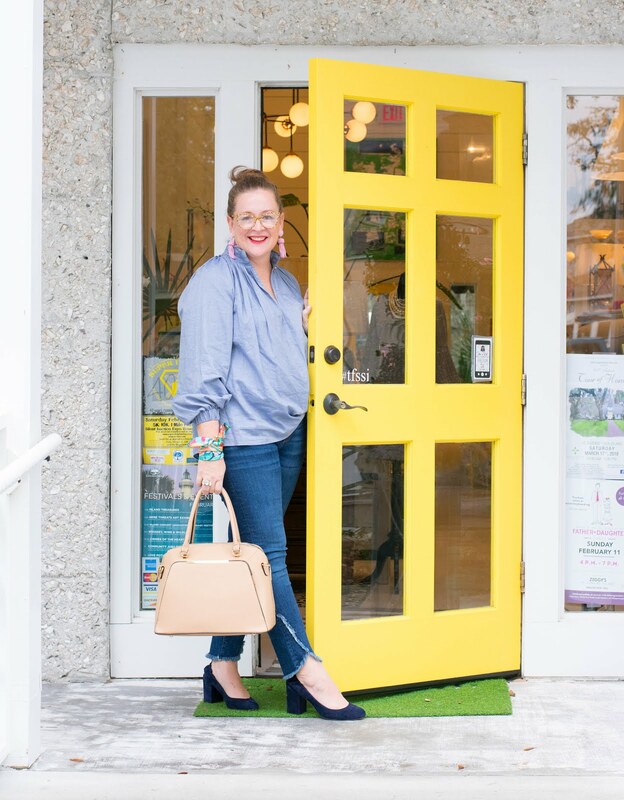 Thank you to Annie of All Things Big and Small for inviting me to tag along with the fabulous group of bloggers she invited. 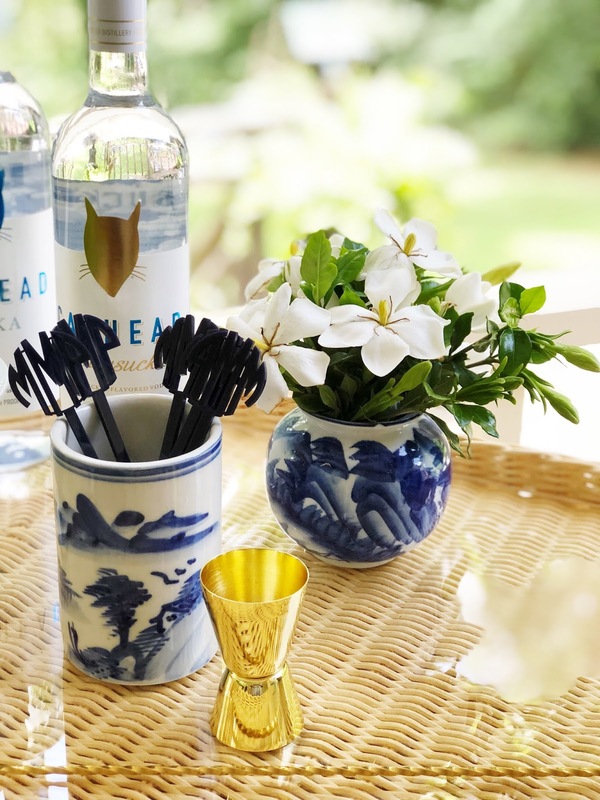 I love a blog party and holiday home tours might be the best kind of party ... don't you agree? 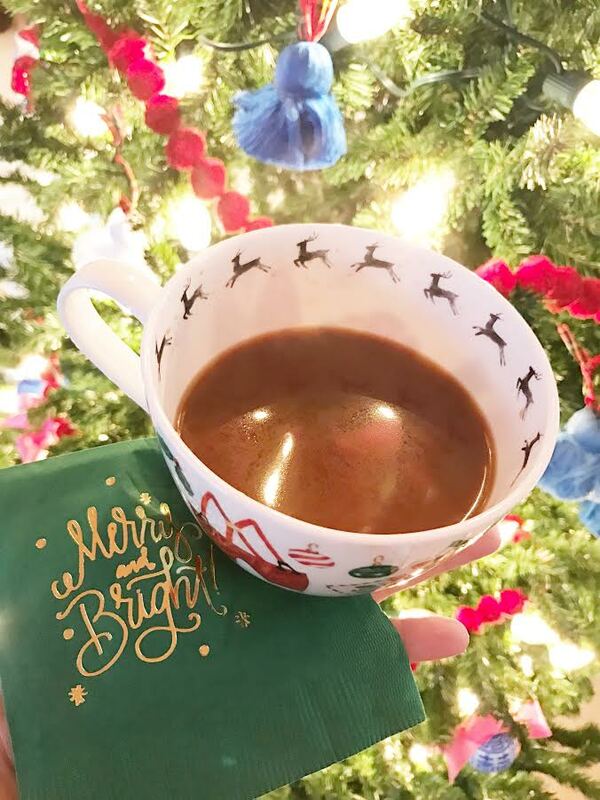 I am a coffee addict on any given day, but December is when I truly rely on it all day long. Plus with the added cold weather the kids live on cups of cocoa. 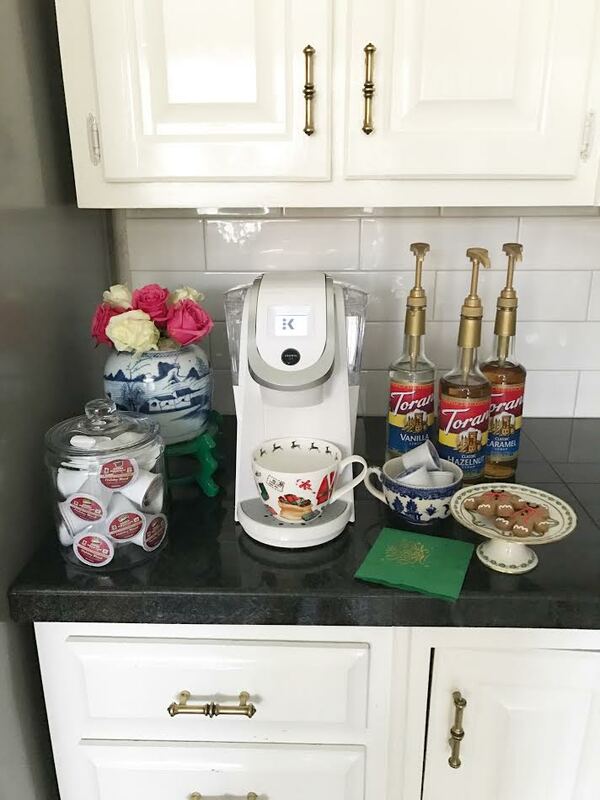 I have dressed up our kitchen coffee area to make sure the perfect cup of energy and warmth is just steps away. 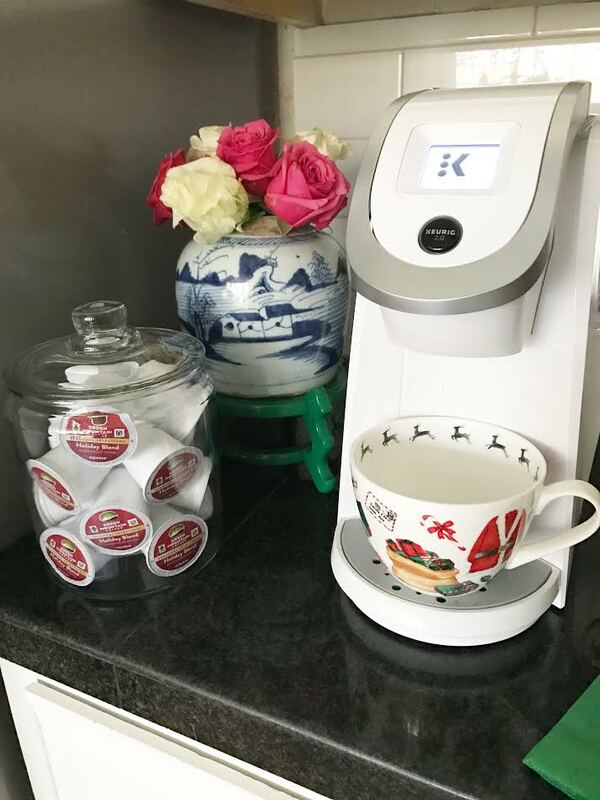 We love this Keurig! 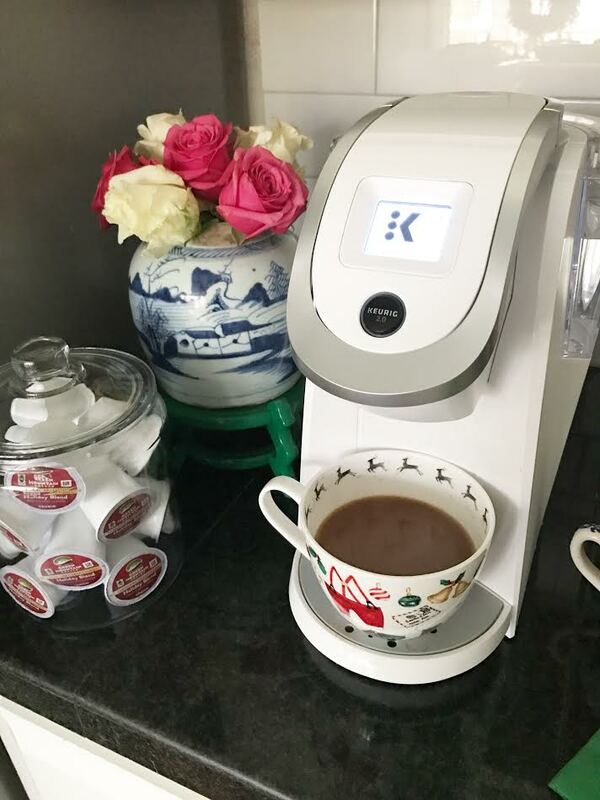 It keeps the water hot and ready to dispense a fabulous cup of cocoa in just minutes. 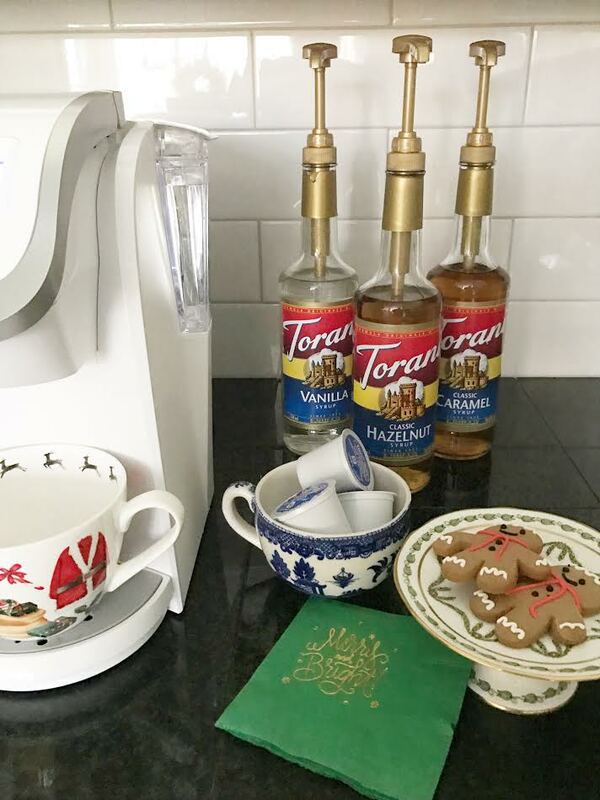 I added in my favorite syrups and pumps this year and I must say I am feeling quite smart for that little decision! 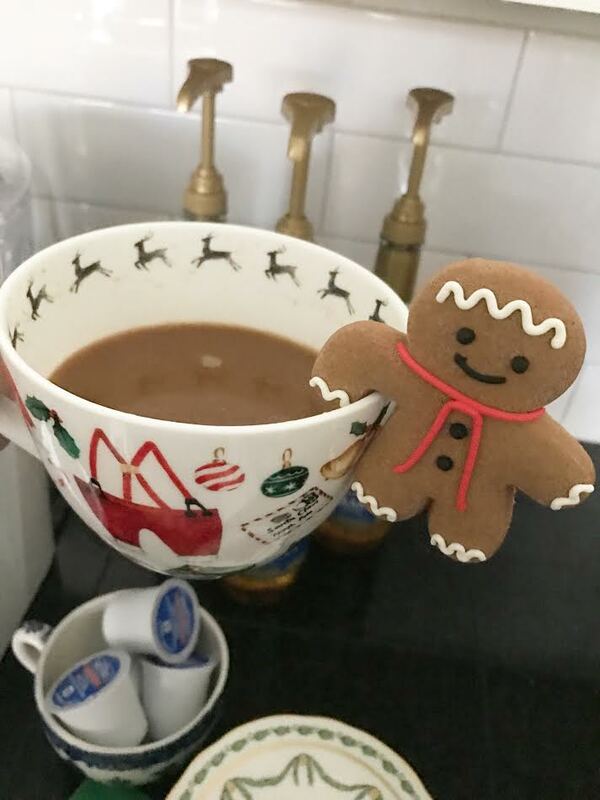 What mug of cocoa is complete without a little mug friend? 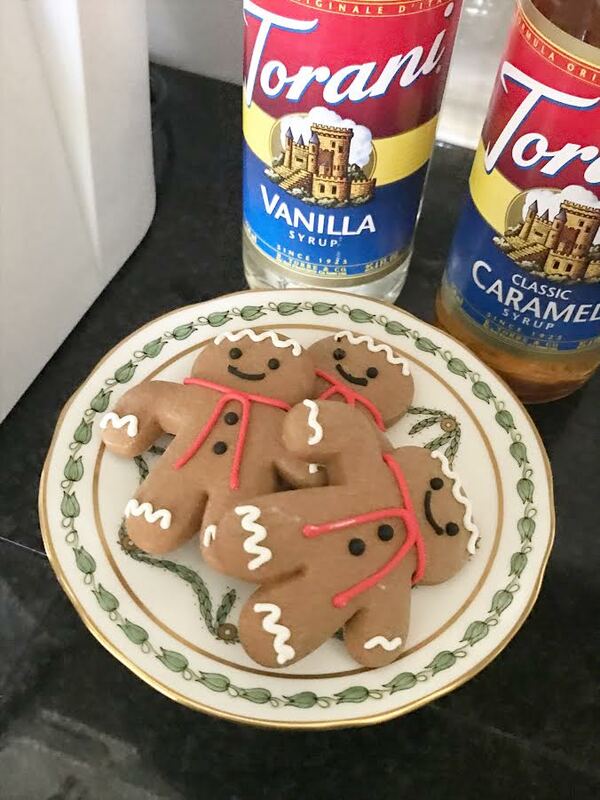 I bought both the gingerbread men and these gingerbread houses for our cups. They are almost too cute to eat ... but sadly they are too good to not!! 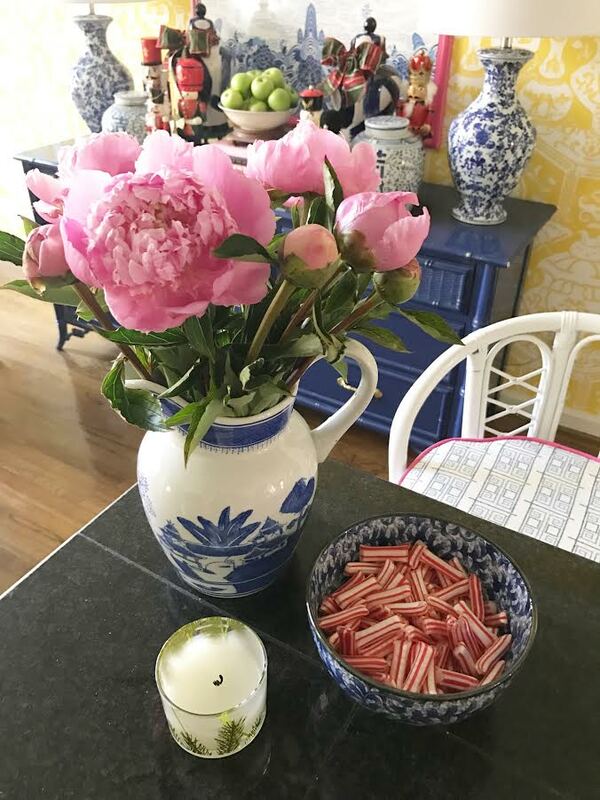 Can it please be peony season all year long? I just love their beauty in the winter!! 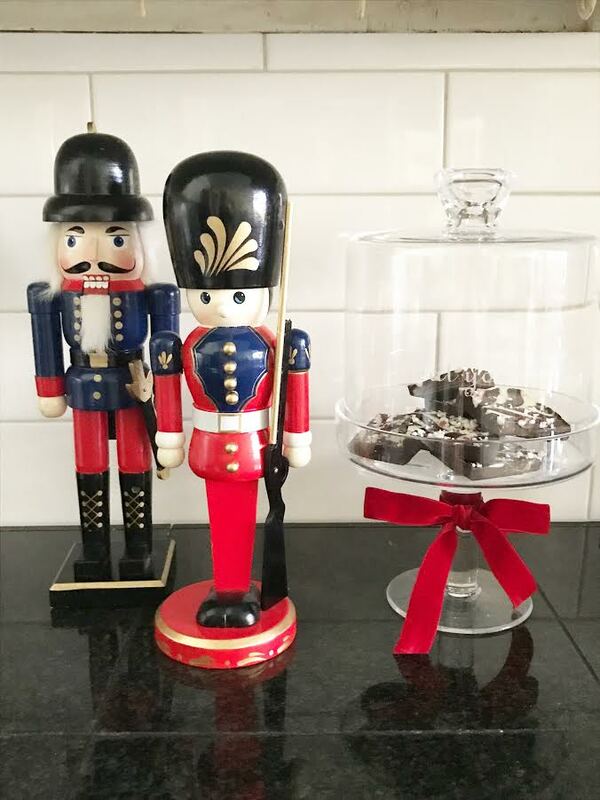 We have been collecting nutcrackers since we were married and I love adding a new one each year. 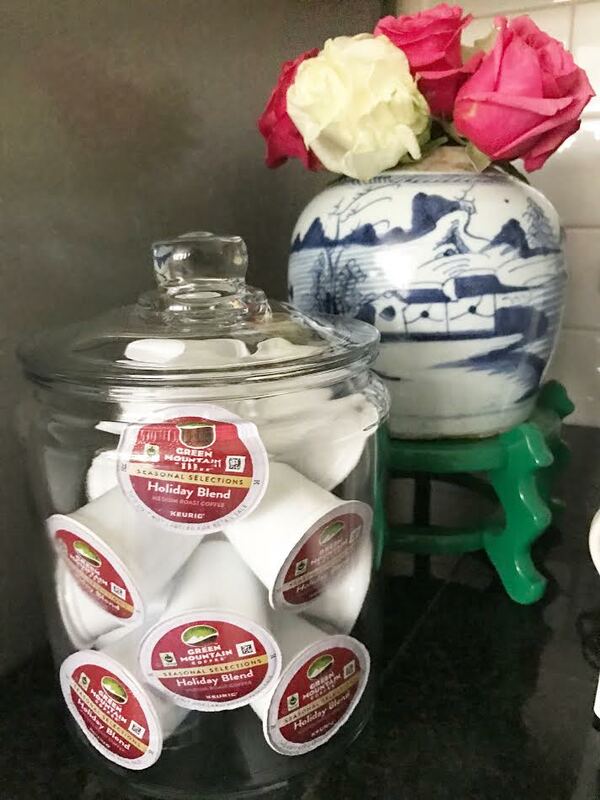 This year I spread them out all over the kitchen and breakfast room and I love the little vignettes of them. This little cake stand allows me to keep treats out but keeps them from getting stale. 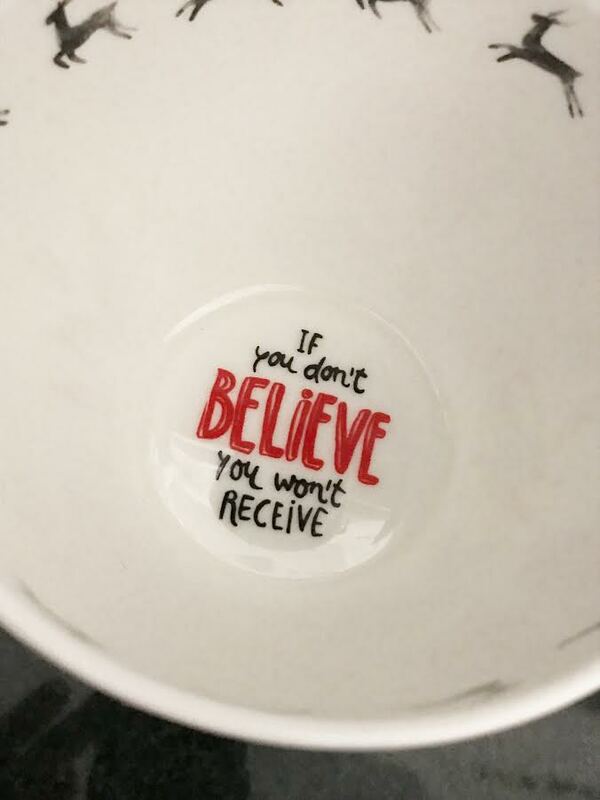 Plus don't you love the custom saying? 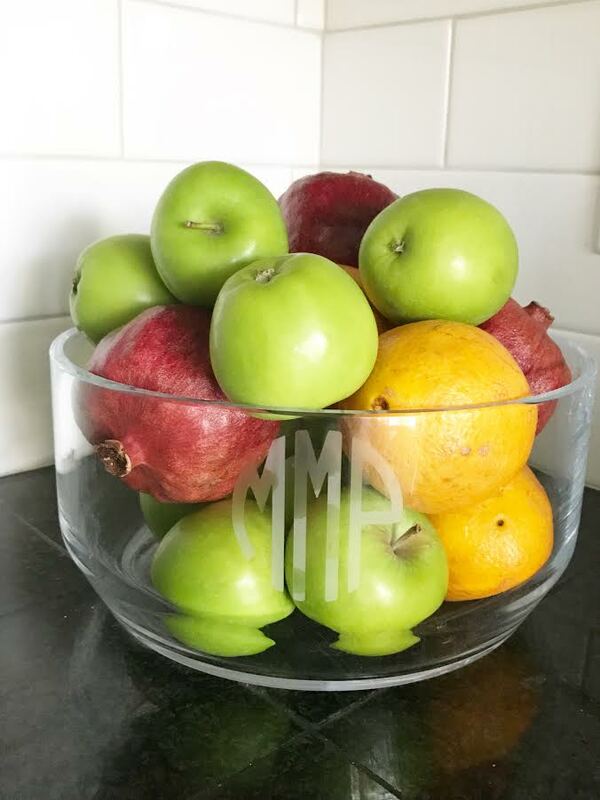 I also love this monogram glass serving bowl. I use it for so many things but holding fresh fruit for snacks is my favorite thing! 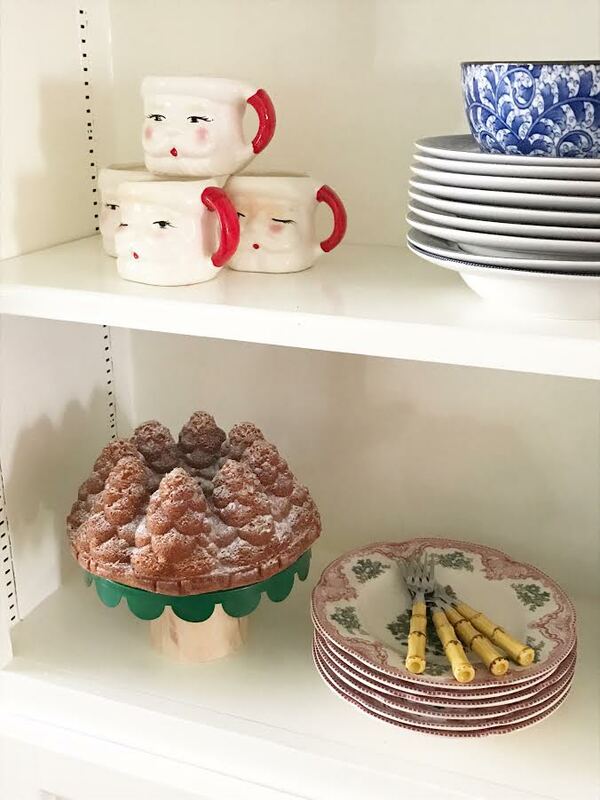 Our open shelving in the kitchen could not be ignored. 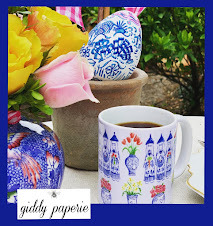 We use this daily for plates, bowls and napkins so why not dress it up as well. Ps ... that cake from Whole Foods is a must have. Think orange and cranberry perfection!! 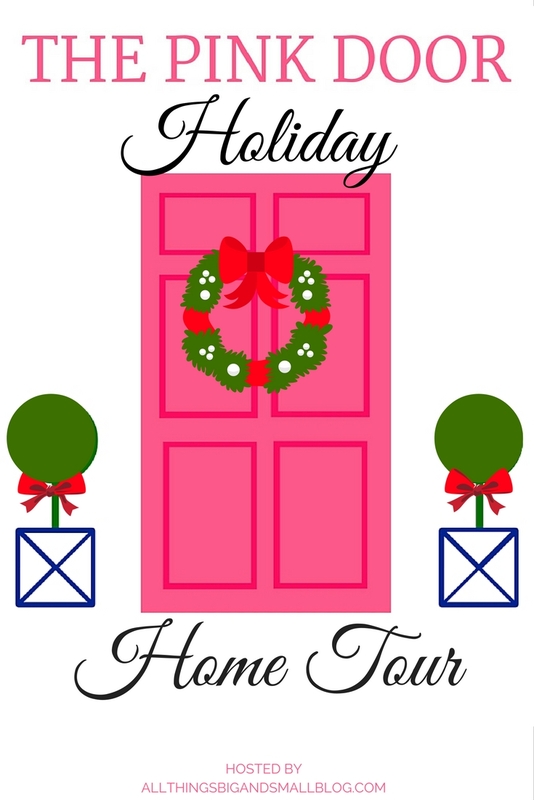 Have the best day and make sure you check out all of the other incredible homes on the tour. I can't wait to read them all now that I have finished our home and can take the rest of the day off!! 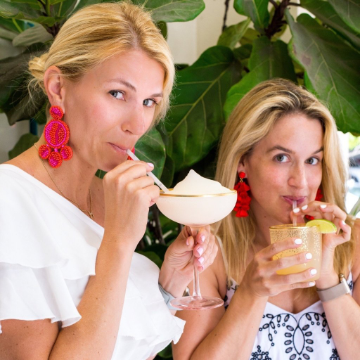 Chin chin to cocktail hour and a cozy evening with those you love!! 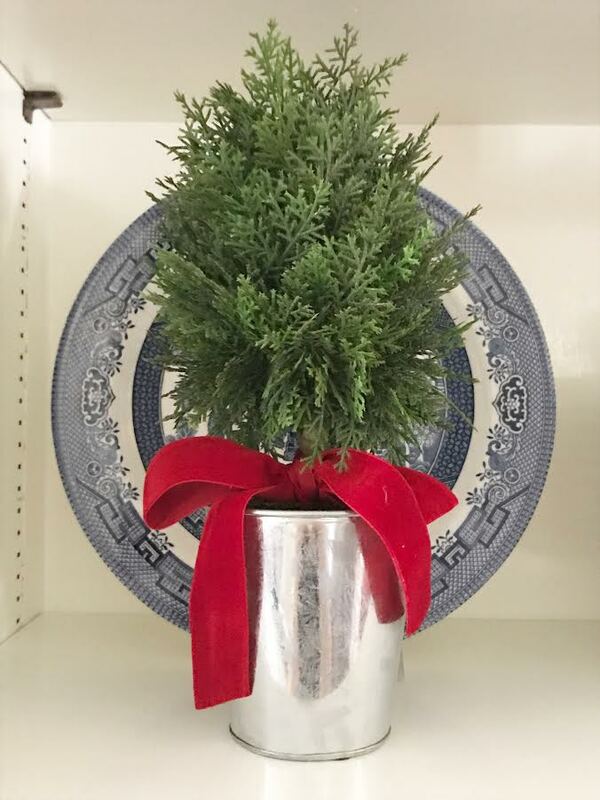 Everything is so festive and beautiful!!! I love all the color! 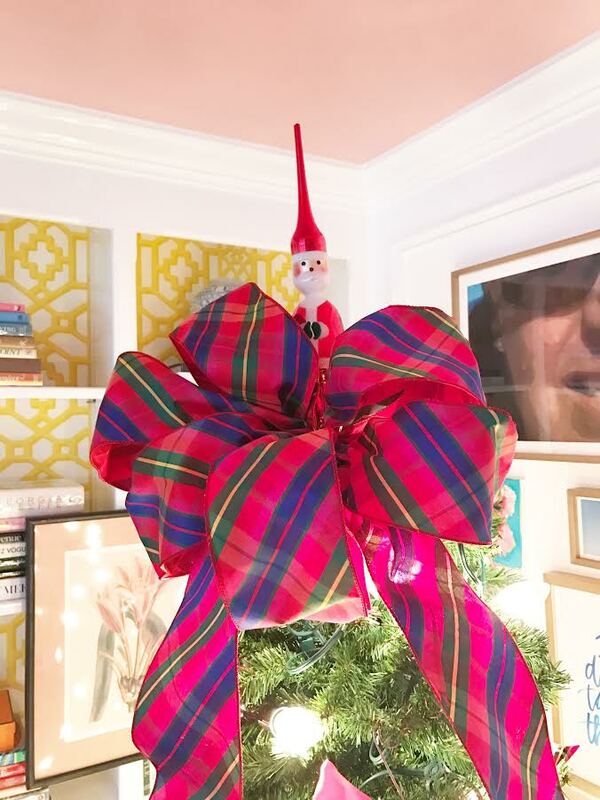 Such a fun and festive home tour. Thanks for sharing. 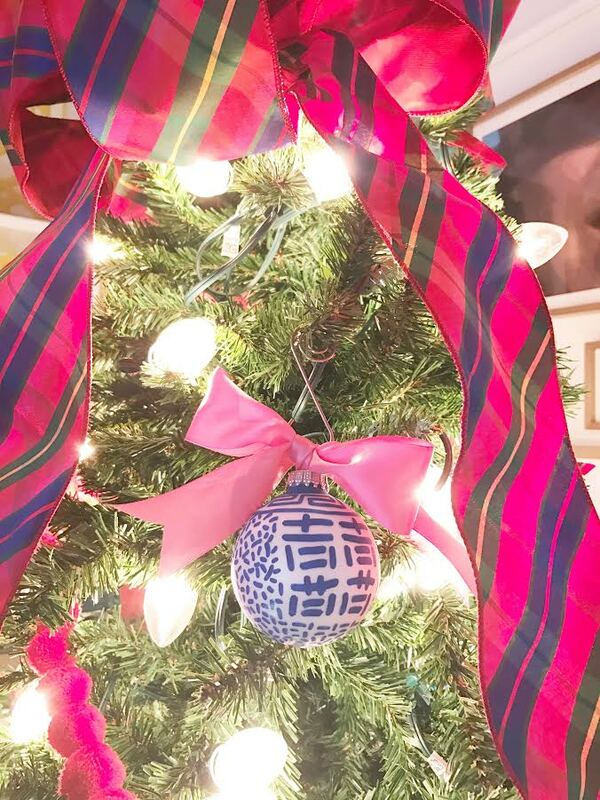 Enjoy and Merry Christmas! 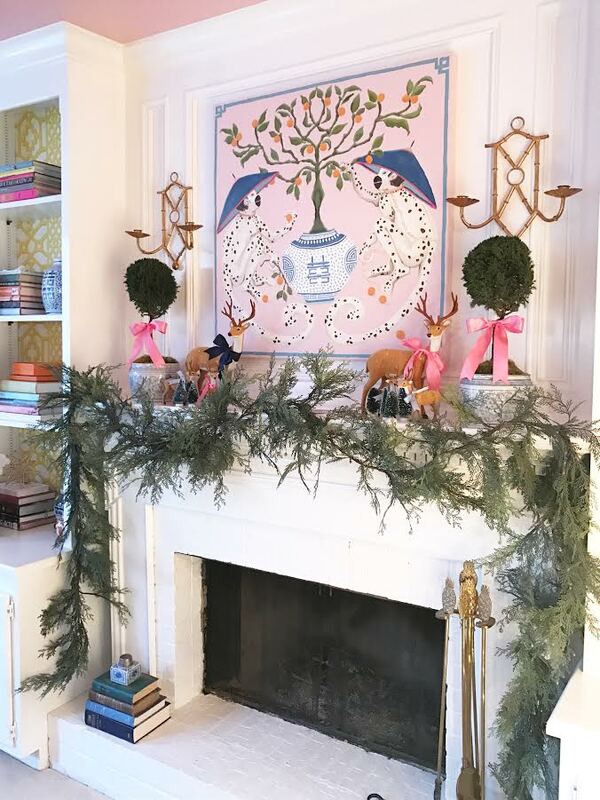 Not sure it's possible to have a favorite part...but...The pink bows on the boxwood wreaths and your deer on the mantel are ah-mazing!!! Can I ask where you got your kitchen brass drawer pulls? As always, so incredibly gorgeous! 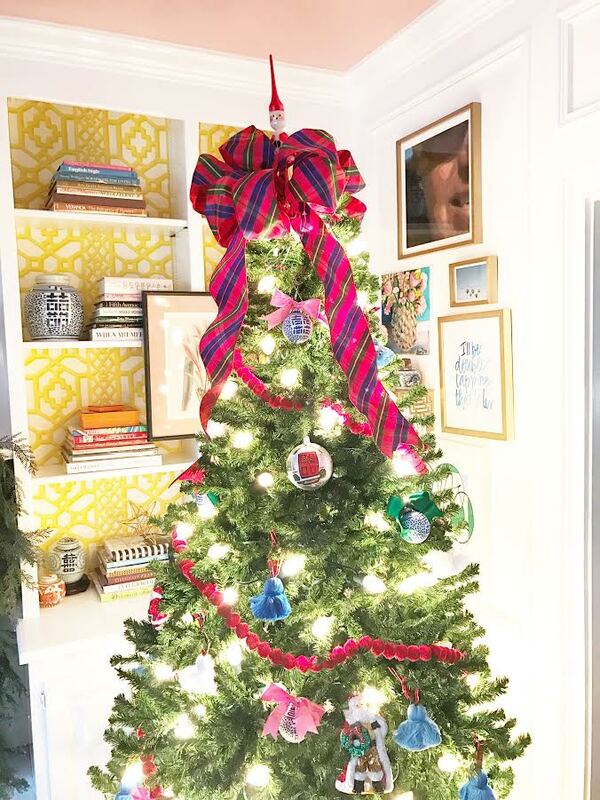 Love the pink satin on the wreaths and oh my goodness your glowing tree is brilliant in your updated room! 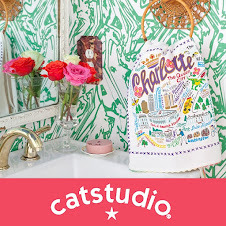 Your home looks amazing with all that gorgeous color! 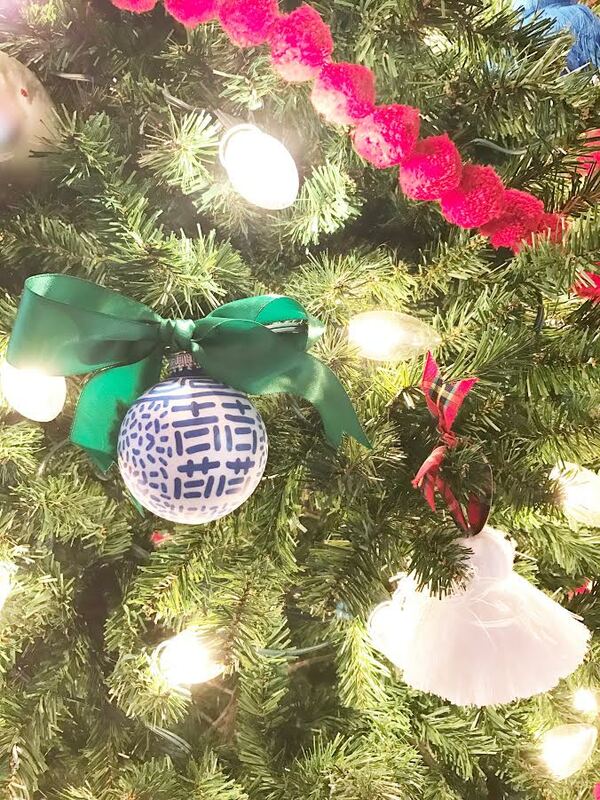 Everything looks so happy and festive! I also love your kitchen hardware! 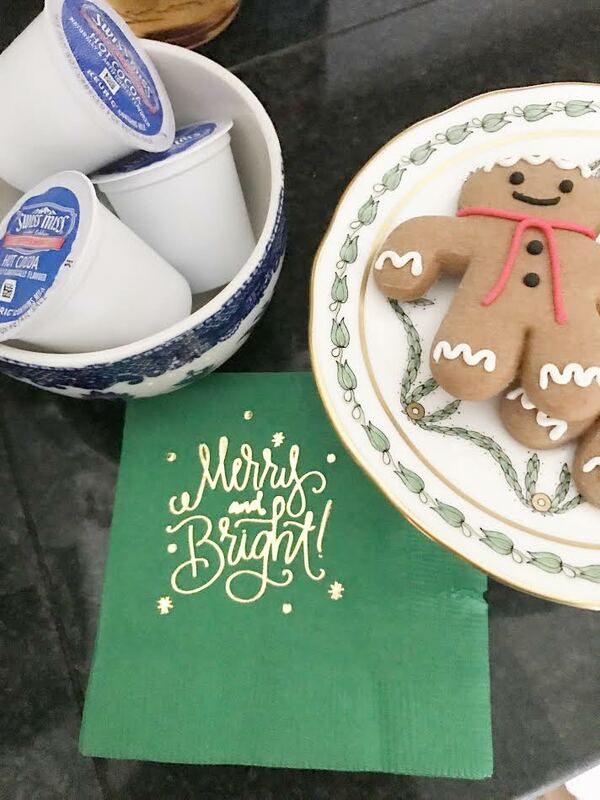 Love all of the festive touches! 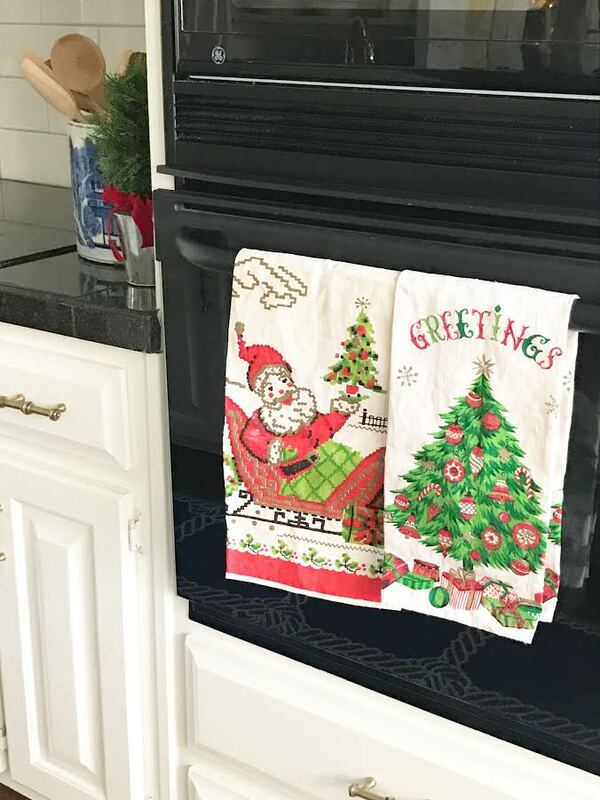 Those Santa mugs and towels on the stove are adorable! For example, structure supervisor is responsible for buildings, railway supervisor is responsible for railway building, road and bridge supervisor is responsible for road construction, and decoration supervisor is responsible for home decoration.